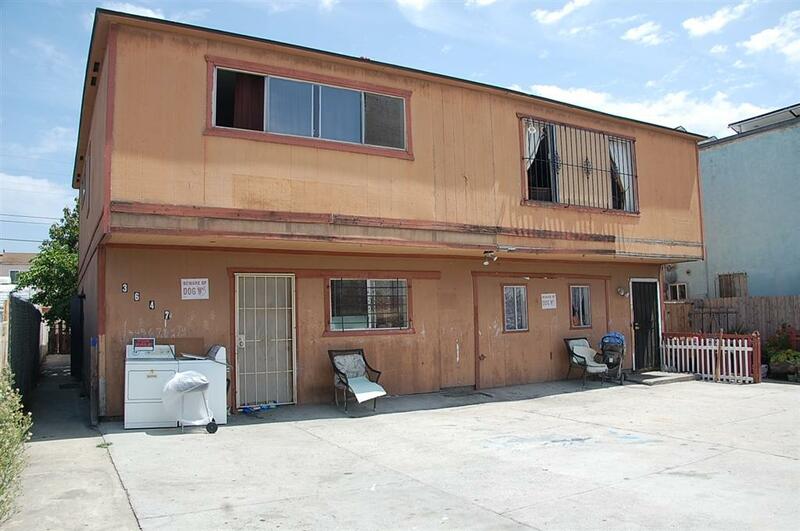 Great investment opportunity, mixed use commercial\residential in the heart of City Heights. Good amount of parking Many different options and opportunities available with this property. Light fixer, deferred maintenance on exterior, most interiors in relatively good shape. Upstairs 3 bedroom recently repainted and new carpet installed. Zoning is CUPD-CU-3-6. All tenants are month to month. Short walk to Landis Park, Swim Center, Library and Shopping.